Wow, I can’t believe it’s that time of year again already. It still feels very wintery but Mother’s Day is just around the corner! 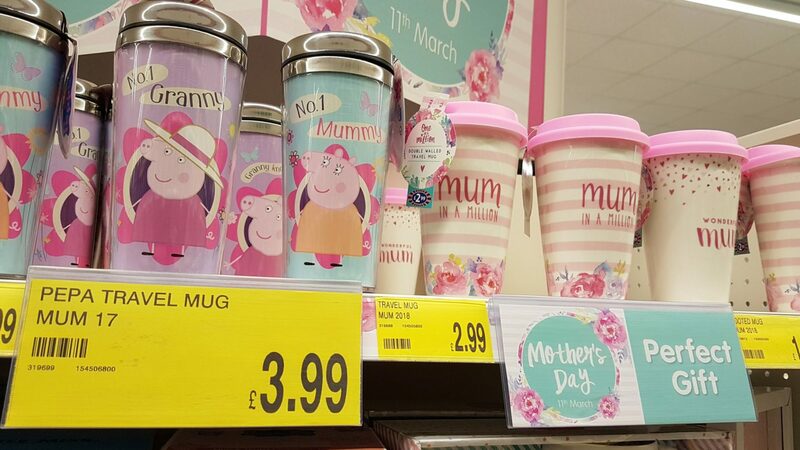 This year it falls on 11th March, so there’s not much time to get your Mum’s gifts sorted out. 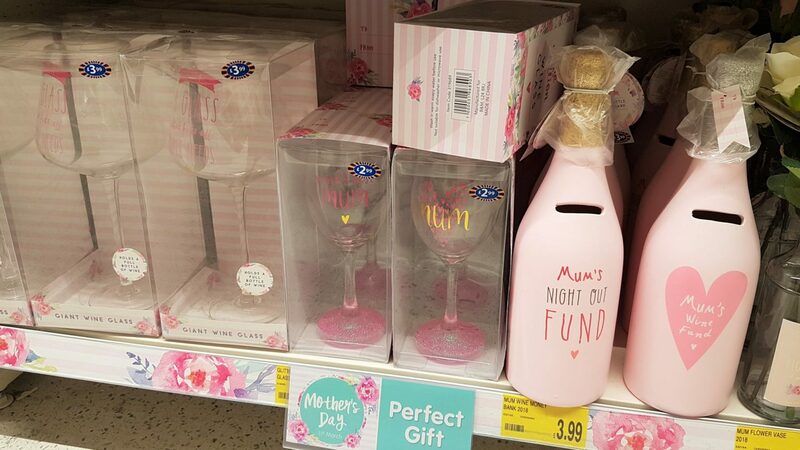 I recently shopped for Mother’s Day at B&M and you can get so much for your money! If you’re on a budget, or even if you’re not, it really is the place to go. So, what did I see? Furthermore, what could I get for the £20 in my pocket? These flower lights will really brighten up the garden. There are many types of lights available which will cheer up these dark days, but also be lovely in the garden on summer evenings. If your mum enjoys spending time in the garden, these would make a great gift at only £6.99. I don’t think I know a single mum who doesn’t like chocolate. I know I’m a self-confessed chocoholic! Let’s face it, we often need a little indulgence at the end of a hard day’s work doing mum things. 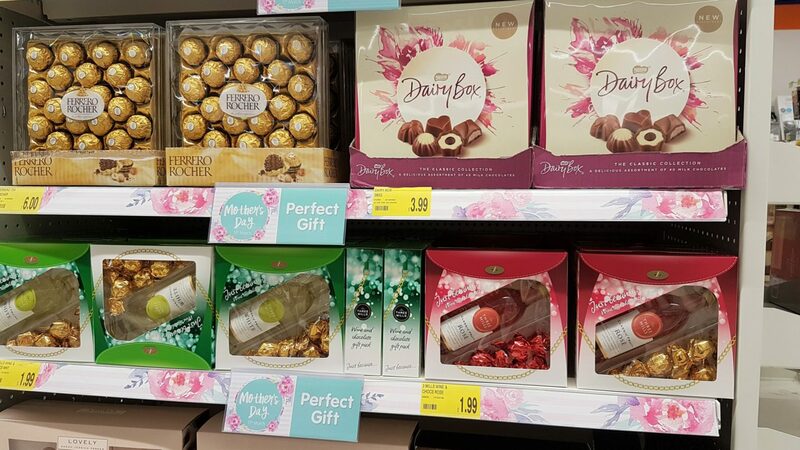 Dairy Box contains two layers of chocolates (40 in total) and is being sold for £3.99. One of the cutest Mother’s Day offerings in my opinions, was co-ordinating mugs for mother and child. There were mummy bear and baby bear ones, but my personal favourite was the mother hen and baby chick set! It’s adorable and was only £2.99. When Autumn’s a bit older, I’m looking forward to us having hot chocolates in our our special mugs…with lots of squirty cream and marshmallows, of course! I take great pride in my slipper collection and my mum and nan always appreciate a good pair of slippers! 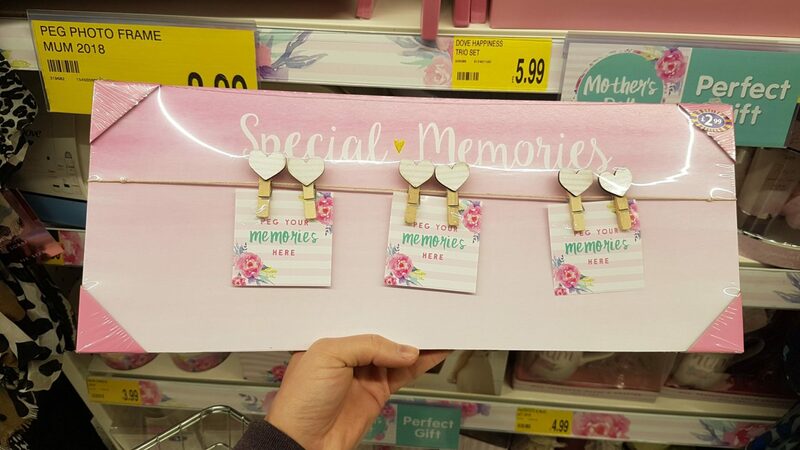 Although not in the Mother’s Day gift section, I thought these would make a great gift. They were only £3.99 but feel of a good quality. There was quite a wide range of slippers – I personally have my eye on some unicorn ones! 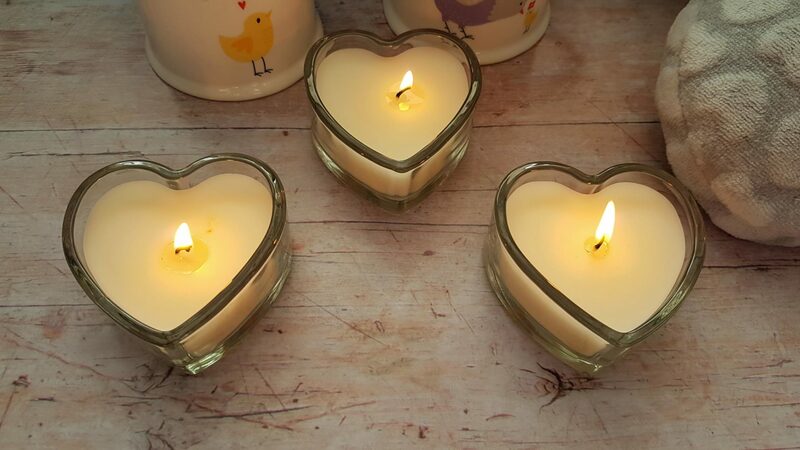 Last, but not least, I picked up some heart votives. There was vanilla or jasmine available. I selected jasmine, and I’m glad I did as they smell beautiful! 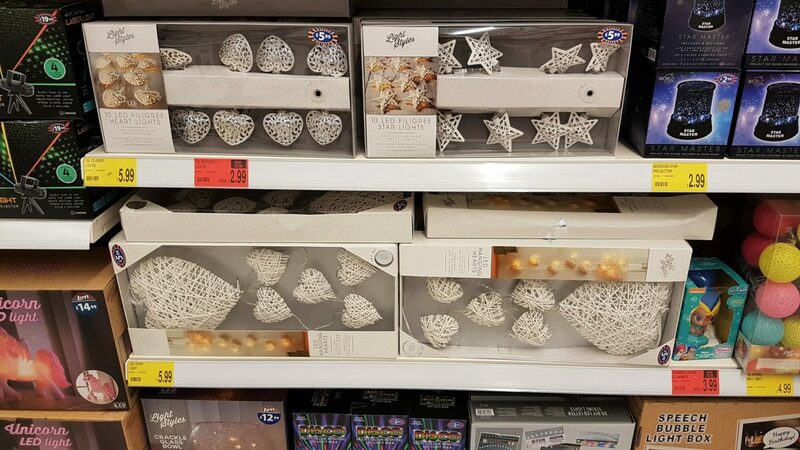 They’re only £1.99 but look gorgeous lit up. 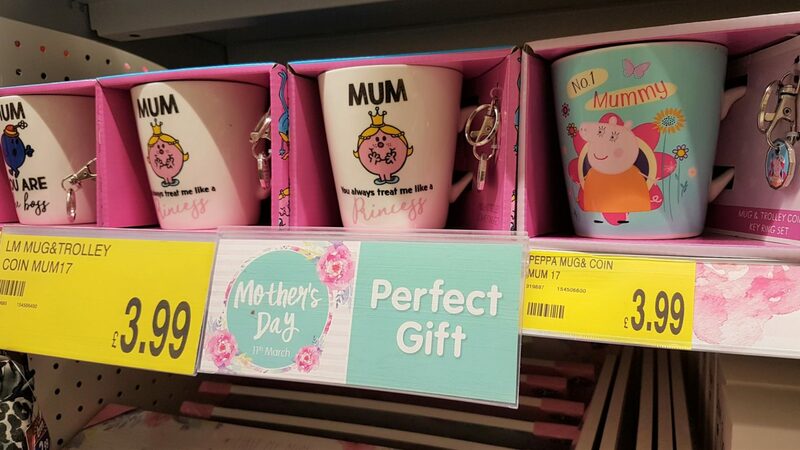 As you can see, this is a lovely selection of gifts for a mum. Where else could I get all this for only £20? That was including the 5p bag to carry them in, too! B&M is one of my shops for good reason. By the way, I was able to peel all the stickers off if that’s of concern to you! As I browsed, several aisle ends had the Mother’s Day products on. These include cute travel mugs, perfume sets and home decorations. They’re all such good value too, even a child could afford something for their mum with their pocket money! 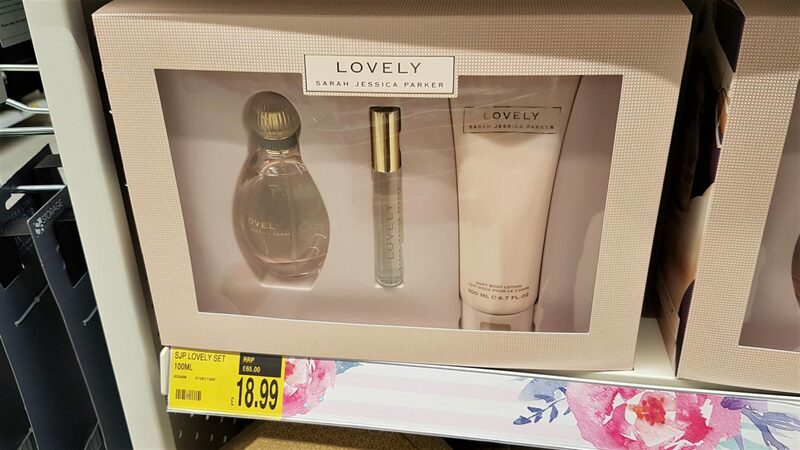 There are huge reductions on perfumes and perfume gift sets. This Lovely set by Sarah Jessica Parker is down from a RRP of £65 to £18.99. 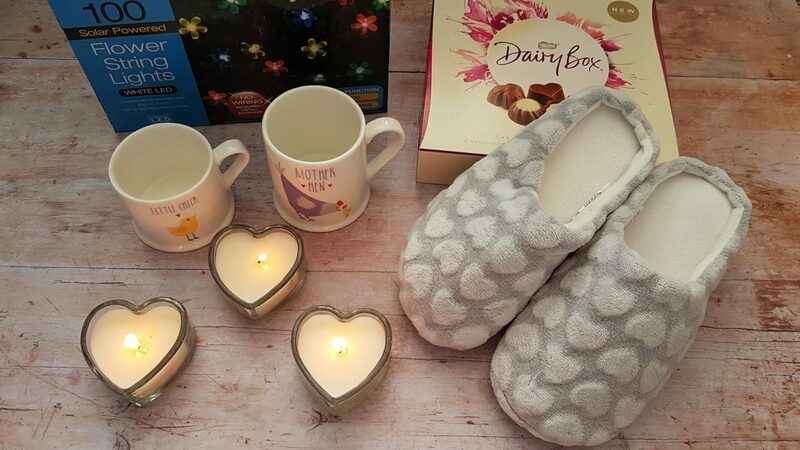 As you can tell from the candles and slippers above, I strayed slightly from the Mother’s Day products to look at what else there was. 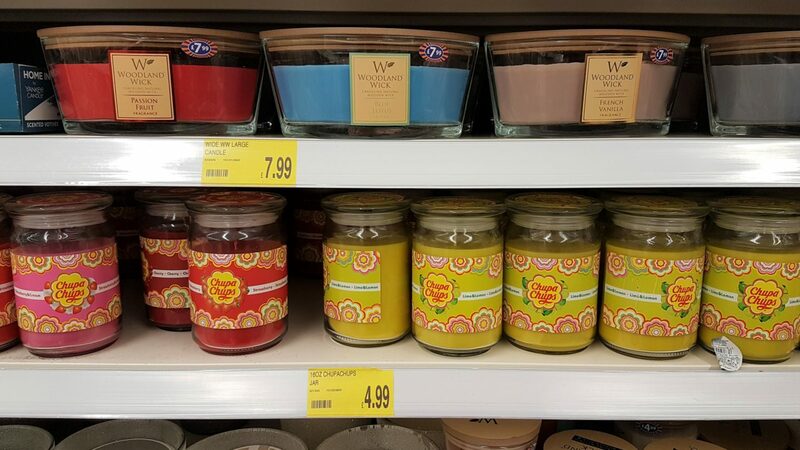 I have never really stopped to look at the candles before, but was impressed by the range of candles. There was a huge variety of shapes, sizes, colours and scents as well as some pretty candle holders. There were also some diffusers. The home section in general is great for potential gifts, actually. 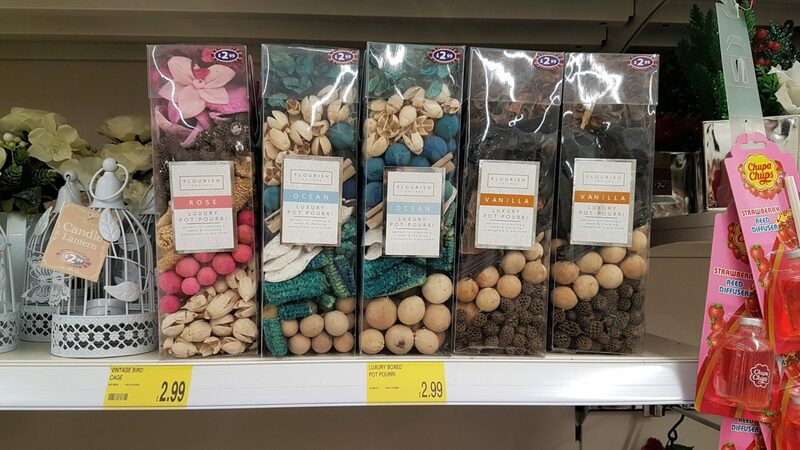 I spotted some pretty indoor lights and beautiful pot pourri for the cheap prices you’d expect of B&M. The garden section is also good for gifts if who you’re buying for for Mother’s Day is green-fingered or enjoys spending time in the garden. I’ve previously bought some of their cute garden ornaments as presents and they’ve gone down a treat! There is a good choice of solar powered lights too. 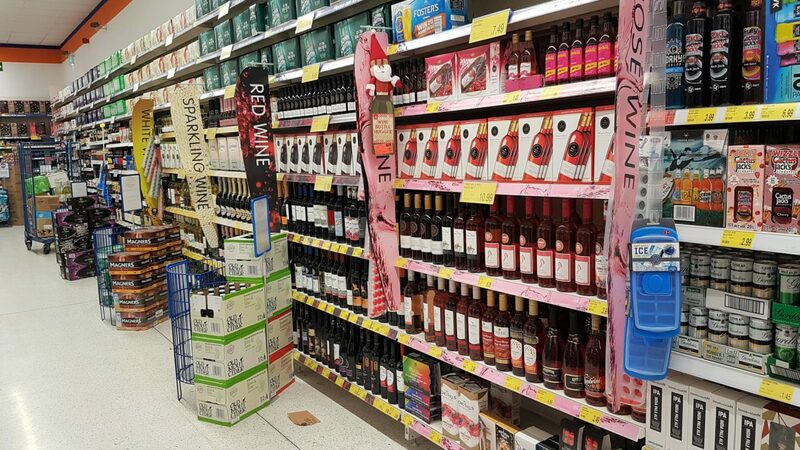 Failing all the above, there is plenty of wine! 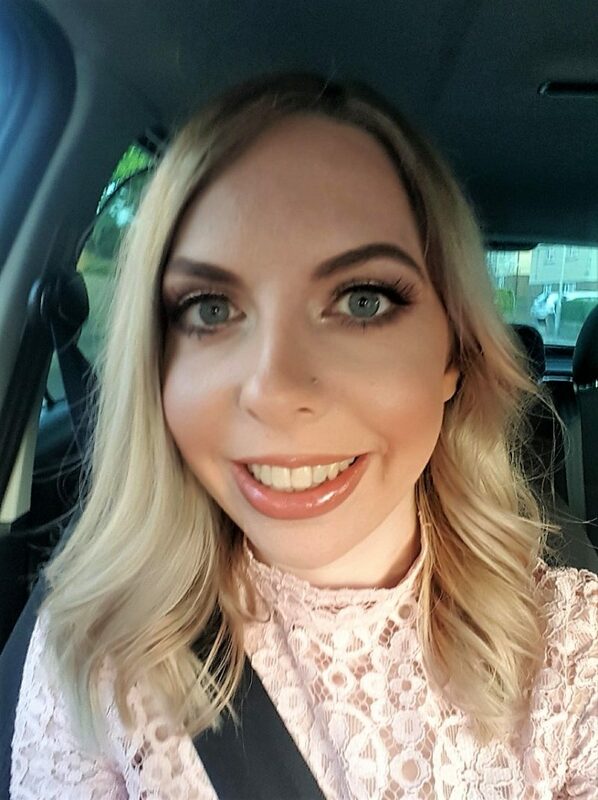 Disclosure: This is a collaborative post with B&M and I was provided with vouchers for the purpose of this post. As always, all views and opinions are honest and my own.